Internet law professor Michael Geist looks at the way that cable firms are starting to shackle the net access they offer. When cable companies began promoting high-speed internet services nearly a decade ago, many branded them “the internet on cable”. Years later, those services are gradually morphing into “the internet as cable” as broadcasters and service providers steadily move toward the delivery of content online that bears a striking resemblance to the conventional cable model. Cable television has its virtues – some consumer choice, the ability to time shift programs by recording them with a VCR or PVR, and video on-demand – but it is largely built around limiting consumer control. Cable distributors determine channel choices, geographic distribution, and commercial substitution (typically with input from a broadcast regulator), offer only limited interactivity, and quietly even possess the ability to stop consumers from recording some programs. Until recently, the internet was precisely the opposite, offering unlimited user choice, continuous interactivity, and technological capabilities to copy and remix content. That is gradually changing as broadcasters seek to re-assert greater geographic control over their content and service providers experiment with cable-like models for prioritised content delivery. …if broadcasters and service providers are left to their own devices, it appears that they are increasingly ready to redefine the internet on cable to the internet as cable. The re-emergence of geographic borders on the internet coincides with broadcasters finally jumping on the internet bandwagon, as they race to make their content freely available online. Some US broadcasters are selling downloads through services such as Apple iTunes or Amazon.com, yet the unmistakable trend is toward free, ad-supported streaming of content mere hours after it first appears on commercial television. Each major US broadcaster already offers a handful of shows in this manner with ambitious plans to expand their services in the months ahead. 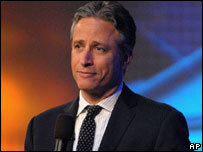 NBC and Fox recently unveiled Hulu.com to some critical acclaim, while Comedy Central created a new site for the popular Daily Show that features a complete archive of eight years of programming. Non-Americans, alas, are generally locked out of these sites due to licensing restrictions. Foreign broadcasters have been scrambling to buy the internet rights to US programming, both to protect their local broadcasts and to beef up their online presence. US broadcasters may eventually decide it is more profitable to stream their content on a worldwide basis and to remove longstanding geographic restrictions, however, for the moment they are parceling up the internet as they would a broadcast destined for multiple cable markets. This geographic bordering extends beyond just blocking streamed content. For example, the new Daily Show site is off-limits for Canadians since the US-based Comedy Central recently took the unprecedented step of redirecting Canadian visitors to the Canadian-owned Comedy Network site. 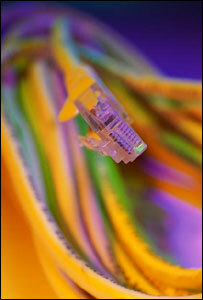 Broadcasters are not alone in working to bring the cable model of control to the internet. Large net service firms are engaged in similar activities, with a history of blocking access to contentious content, limiting bandwidth for alternative content delivery channels, and raising the prospect of levying fees for priority content delivery. While these issues had been perceived to be predominantly North American concerns, they are beginning to surface elsewhere. For example, when earlier this year the BBC launched its internet-based iPlayer, several broadband providers floated the prospect of charging the BBC for delivering its content on their networks. These issues may ultimately sort themselves out. Users have many easily-obtainable tools to defeat geographic blocking and net firms may find themselves subject to net neutrality legislation if they continue to abuse the public’s trust by failing to maintain their networks in a transparent, neutral fashion. Yet if broadcasters and service providers are left to their own devices, it appears that they are increasingly ready to redefine the internet on cable to the internet as cable. 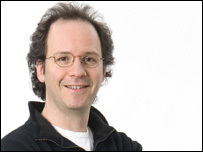 Michael Geist holds the Canada Research Chair in Internet and E-commerce Law at the University of Ottawa, Faculty of Law. He can be reached at mgeist@uottawa.ca or online at http://www.michaelgeist.ca.